We have an upcoming fun night at our swim club for Halloween. 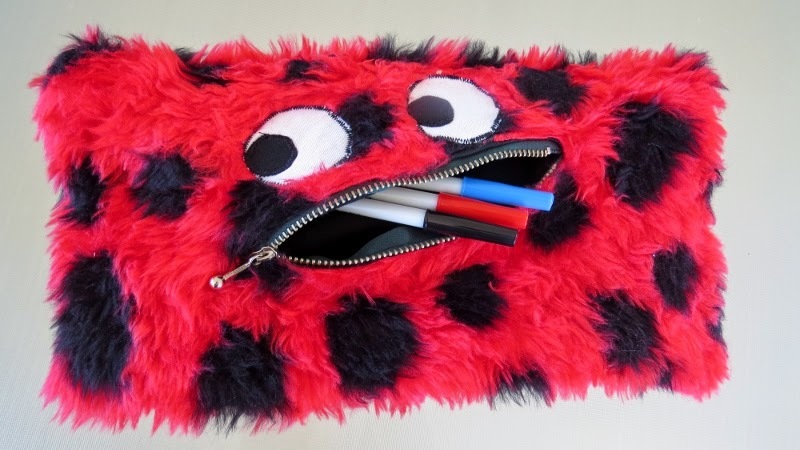 I thought I'd make something to donate for the raffle - and what better than a monster pencil case! I found some fur and black fabric from my stash and whipped this up in no time! 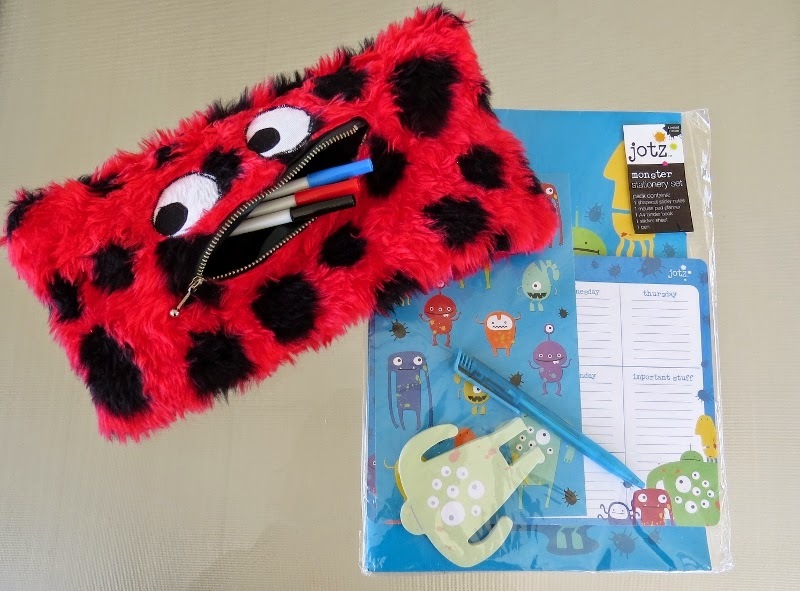 I also found a monster stationery set in my stash - so that will complement the pencil case well I think! Do you make things to donate for raffles and fundraisers? 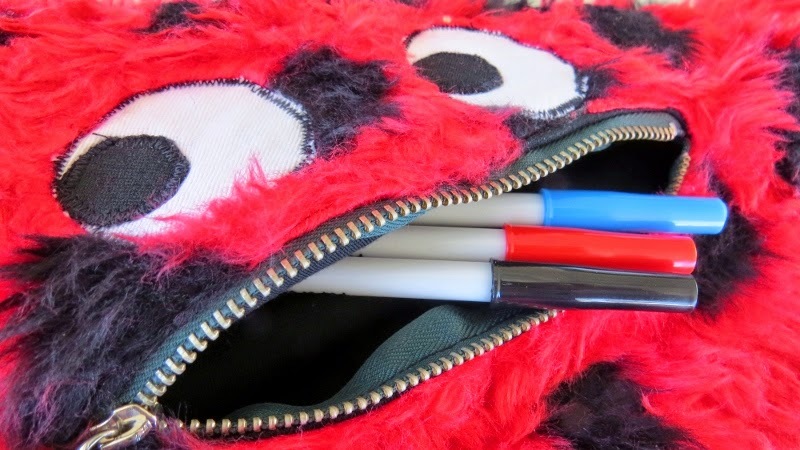 I have so much fabric in my stash that it's the perfect way for me to 'do my bit' - and I enjoy it too! AND it helps me in my challenge to "Use What I've Got!" Covering a basket - Use What You've Got! A fail and a fix! Day 82, Use What You've Got.